People would appreciate anything that looks neat and pleasing but when we talk about art, it is viewed differently because it isn’t how neat, usual or acceptable it appears but it is how the art is done. The more unique it is, the more it will be appreciated. That is why, many artist struggles to do something distinct for their artworks. 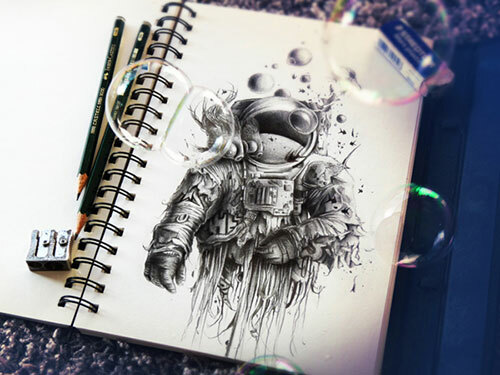 Today, we will feature you some awesome works that bears a bunch of meticulous details and are totally artsy as they sit on the artist’s sketchbook. This could be a piece that is loved by many especially the colored rendition in decorative frame. 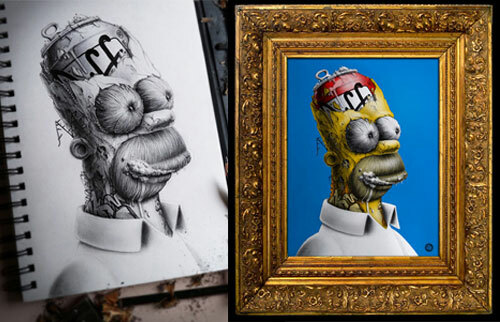 Shown here are both the sketch and the colored portrait of Homer Simpson. Super Mario is also a super jump man since he does a lot of jumping all throughout the game. 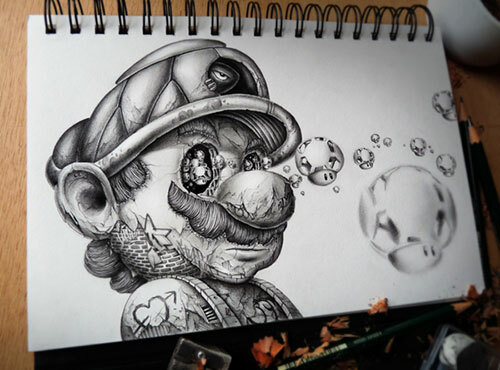 Aside from the details on him, we find those mushrooms really cute. 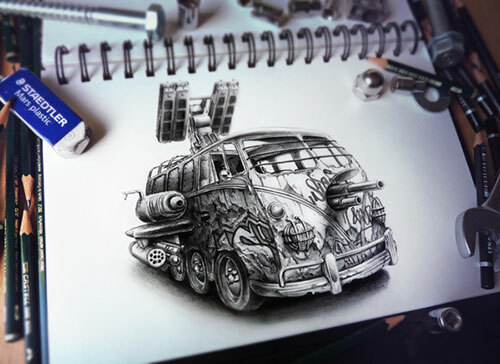 This van sure has something unique in it as it reveals its armor for war. 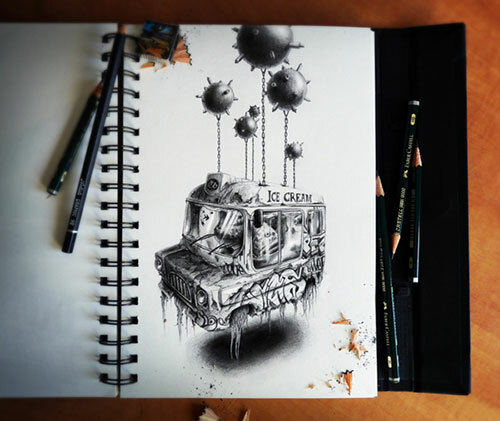 Look at the graffiti design on it making this even more unique! Part of his series Distroy which shows some famous cartoon characters that looked surreal but they still retained their cute looks though just like Mickey Mouse. A huge amount of details is seen in this image as the subject appeared bulky with all those tore clothing. The metallic elements were well done but it didn’t pass the addition of some breaking and tearing on the back part. 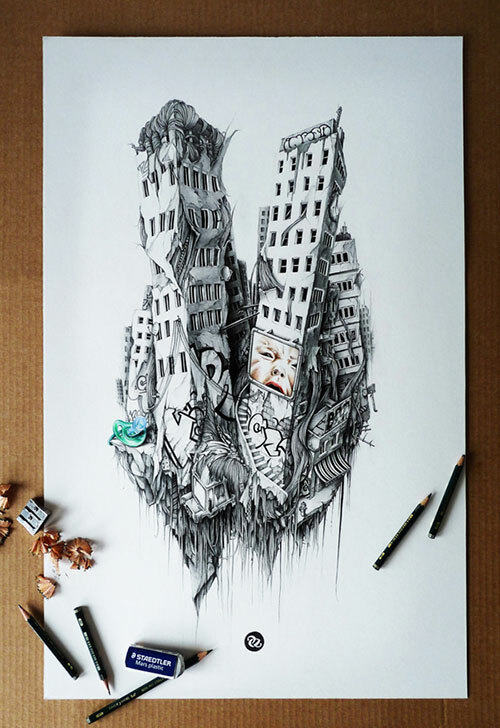 This gives us the impression of a building being ripped by a strong earthquake or a super typhoon. But with the title of this piece, you’ll understand what the artist was trying to convey. Remember how kids were asked to write on the blackboard as a punishment for something they have done in school and would be asked to write it over and over again that they won’t repeat the same mistake? 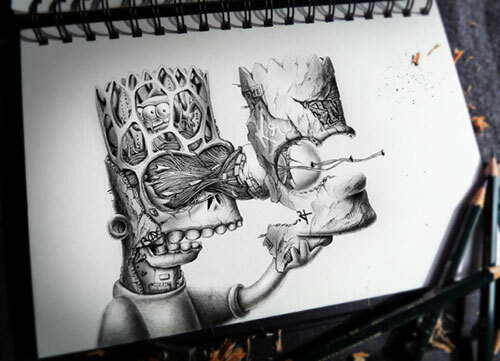 Bart Simpson took off his face as if it is his mask! Check out what you will see in his brain. 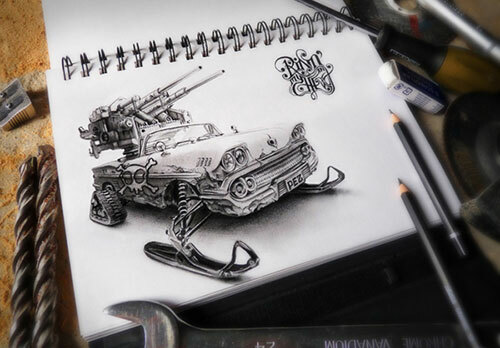 Can you tell us what is different in this creative car design? 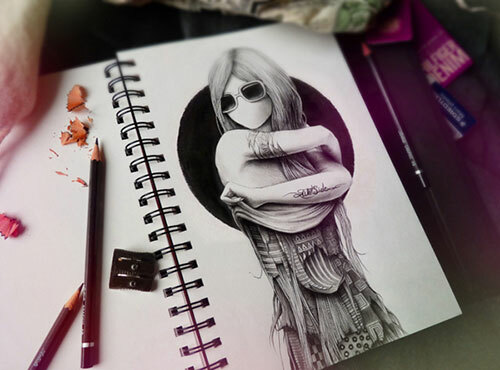 A series on some lady portraits were done by the artist and this is just one of them. Look at all the details on this lady! 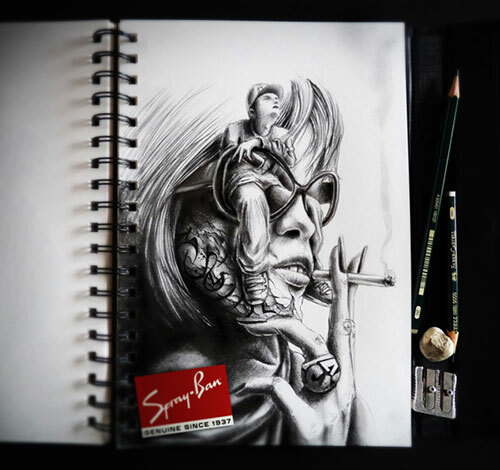 A graffiti artist with a spray sits on this lady’s sunglass frame to portray Spray-Ban instead of Ray-Ban. Kids love ice cream but we are not sure what they would think after seeing this ice cream van. 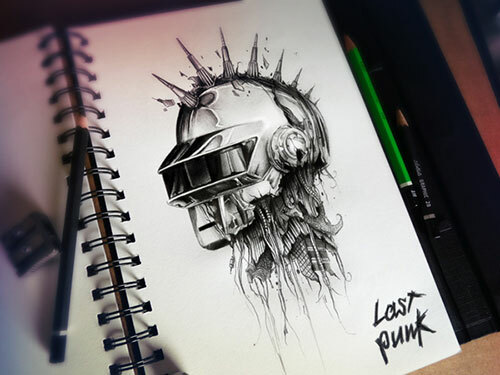 Well, last punk or not, this is one good work from Pez as if the head was pulled out from the body. A fashionable girl wearing clothes of different patterns. 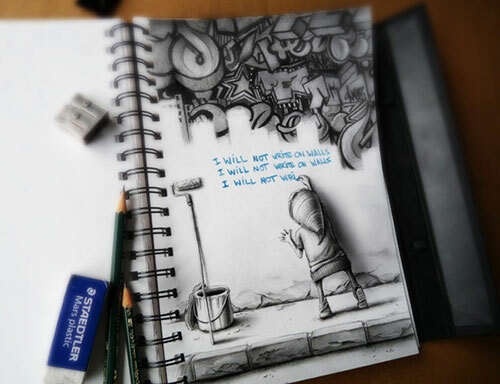 This is a pretty artwork! We are not sure what this is but it looks like a rotting thingy. 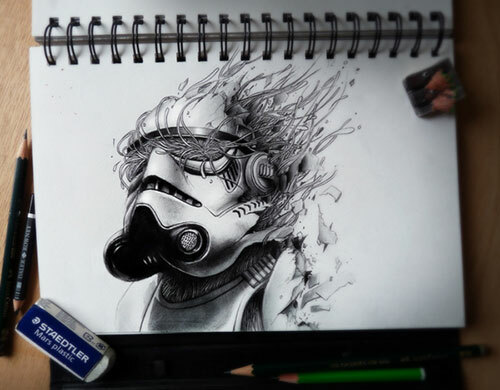 Shake off that surreal thought and focus on how this was done from shading to all the details in this subject. 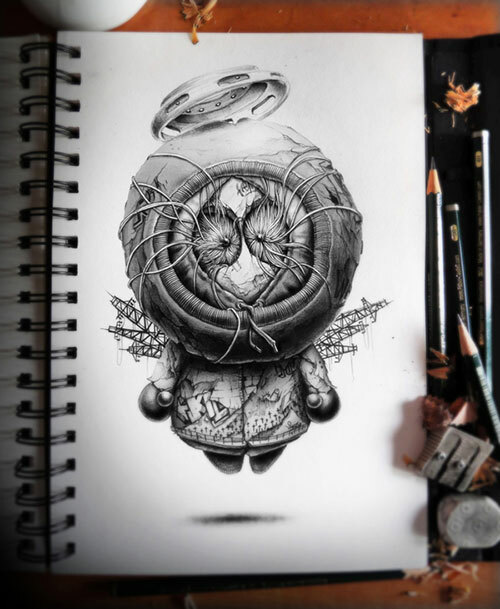 The graphite illustrations you have seen above would blow your mind away! Most of them may appear ripped or destroyed but they all looked a great piece of art. This goes to show that even those that seemed to bear a negative mark could look stunningly impressive once it is done nicely. 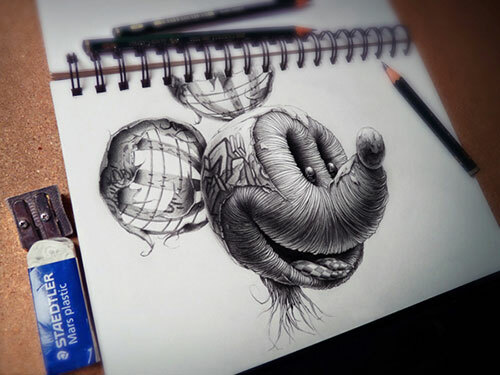 Pez Artworks are not mere sketchbook drawings but this leads us to the door of a unique kind of art merely using his pencil and his creativity. 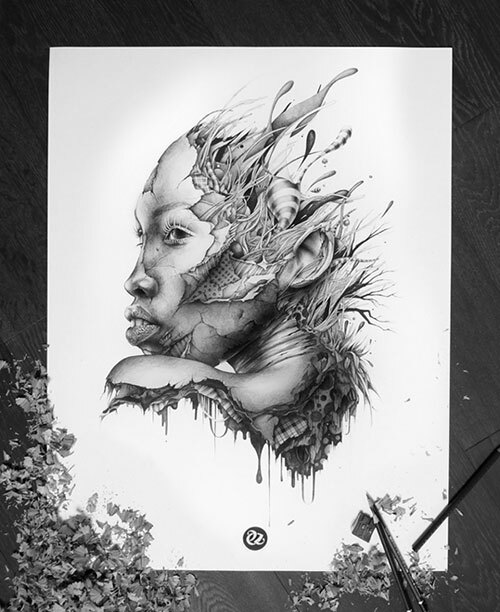 For more artworks from Pez, you can check his website where you can also find his digital illustrations.